As the Arctic Ocean becomes increasingly ice free it is tempting for many countries to exploit the region for hitherto inaccessible resources like oil and natural gas. 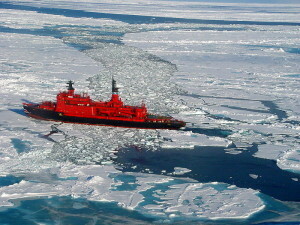 Energy companies apply for drilling permits and shipping companies are eagerly looking for newly opened routes through the Arctic. What about the people living in the Arctic? Human Societies living in the Arctic are already, and will increasingly be, severely affected by ice melting due to rapid climate change (AMAP 2012). Their traditional lifestyles and culture are wholly dependent on the on the Arctic environment.